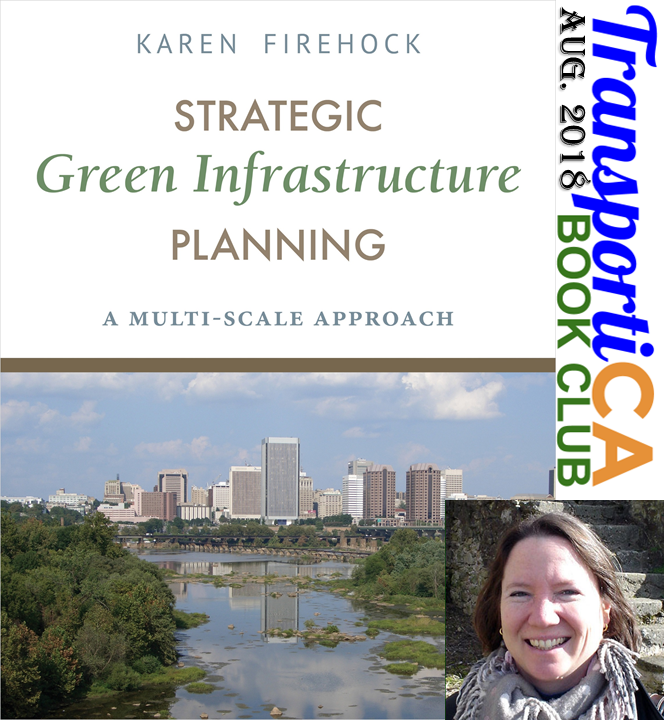 TransportiCA: Questions for the August Book Club Selection: "Strategic Green Infrastructure Planning"
Questions for the August Book Club Selection: "Strategic Green Infrastructure Planning"
For the August 2018 Book Club selection, TransportiCA has chosen Strategic Green Infrastructure Planning: A Multi-Scale Approach, by Professor Karen Firehock. As the federal administration shamefully pursues ending California's landmark air quality authority, TransportiCA looks for a diversity of measures governments can take to "green" their communities, while also improving infrastructure for the long-term, especially for sustainable transportation planning. (1) Prof. Firehock founded, and also serves as Executive Director, for what institution? (2) Where did Prof. Firehock receive her undergraduate and graduate education from? (3) Prof. Firehock's landmark work led what company to partner with, creating a national model for green infrastructure? No purchase is necessary, as questions are not taken directly from the publication, but from respective technical information and publicity. To send-in your response, submit via TransportiCA's "Contact Form" on the front-page (bottom left), sending your name, email address and answers. The deadline for submission is 23:59, Friday, 31 August 2018.